Quite difficult to rear this lichen feeder through so I thought the images might be of interest. Pictures show the larva, its hiding places, the pupa and the imago. 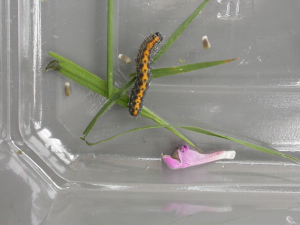 4th April is when the larva was found. Pupated early June and had eclosed by the end of June.